This control unit manages up to 2 soldering tools that can work simultaneously. 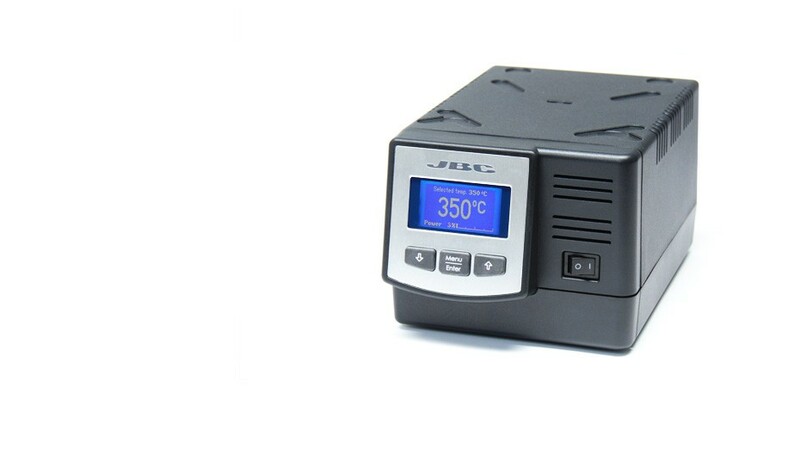 It offers full connectivity to any kind of tools in order to build your own soldering or desoldering station. For a basic working system, you also need at least 1 stand, 1 tool and 1 cartridge. There are available more than 300 cartridges to choose. DD incorporates the JBC exclusive heating system that increases the work efficiency thanks to the fast temperature recovery. The intelligent sleep and the hibernation feature enable to extend tip´s life more than 5 times. Through the menu you can customize more than 20 functionalities in order to manage the soldering process.